Corporate Plan of BNI Sharia Business Unit year 2000 stated that the status of Sharia Business Unit was only temporary and therefore a spin-off was planned to be held in 2009. The spin-off plan was executed on June 19, 2010 with the establishment of PT Bank BNI Syariah (“BNI Syariah or Bank”) as Sharia Commercial Bank based on the Decree of the Governor of Bank Indonesia No. 12/41/KEP.GBI/2010. This establishment was also contributed by external factors such as conducive regulatory, namely the issuance of Law No. 21 of 2008 concerning Sharia (Islamic) Banking. In addition, the Government’s commitment to the development of sharia banking was growing stronger and the awareness of sharia banking product advantages was also increasing. Committed to provide the best for its customers, BNI Syariah constantly improves the service on its network. As one form of continuous service improvement, BNI Syariah also observes the adherence to sharia aspects to ensure that all products of BNI Syariah has passed the testing of the Sharia Supervisory Board and met the prevailing sharia rules. In addition, the operational aspect of BNI Syariah is also supported by competent human resources to support the achievement of good performance in every aspect. Currently, BNI Syariah has 4,255 employees in which the competence development process is continuously held to develop the best employee in its field. In terms of information technology, BNI Syariah as a subsidiary of PT Bank Negara Indonesia (Persero) Tbk is supported by the joint utilization of leading-edge information technology system that has been certified ISO 9001:2008. To date, the business network of BNI Syariah has expanded to 68 Branch Offices, 168 Sub-branches, 17 Cash Offices, 17 Functional Offices, 23 Mobile Services Unit, and 24 Payment Points. 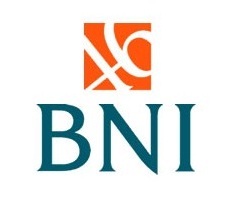 In addition, the customers of BNI Syariah could also utilize the network of BNI Branches Offices (Sharia Channeling Office/SCO) which spread over 1,490 outlets throughout Indonesia and will continue to expand along with the growth of assets. Are you the next Insan Hasanah? No later than September 28, 2018.